Miranda Kerr loves Equipment and can you blame her? The brunette beauty was spotted in the brand’s Lucido Leopard Print Brushed Silk Shirt Dress while vacationing with her family in Cancun. 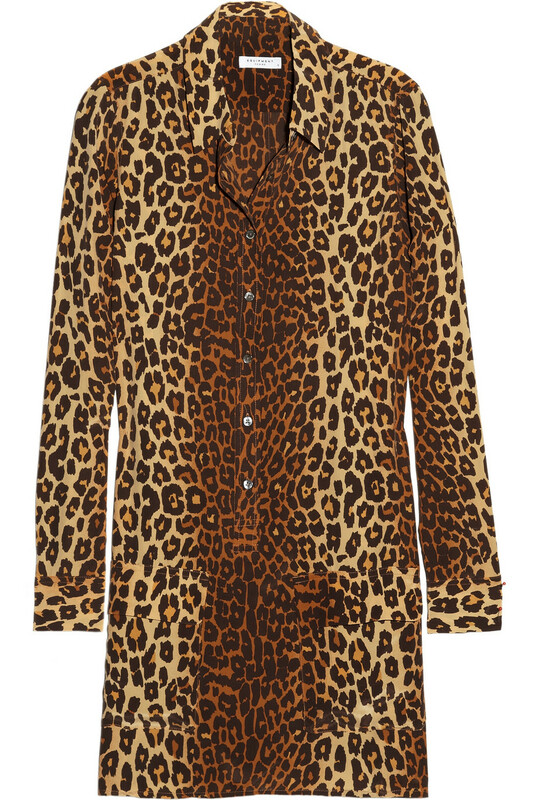 The brushed silk shirt dress boasts a feral leopard print and two front flap pockets. Visit www.equipmentfr.com for more information.